Moderator Spotlight is our way of showing appreciation for the most distinguished SAP Community moderators. This time, however, we decided to choose a fairly new moderator: Ivy Li. She has been selected for this quarter’s Moderator Spotlight as she is active and supportive in the community. Q: Please share with the Community a little about yourself: Where are you from? Where do you work? A bit about your life course, hobbies and whatever you feel like. Ivy: I was born in Dalian, China, a seaside city. I am also lucky enough to be working in my hometown at SAP Dalian (Product Support). This is my 8th year working there, and I enjoy my work life and balance it well with my family life. I have two naughty sons, one is 4 years old and the other is nearly After they were born, I rarely work at home because my whole space is stuffed with them. So, I make full use of my time in the office and schedule my time well. Of course, my moderation items will always be on my list. Q: When did you join the SAP community? Q: What motivates you? Why did you join? Ivy: I became a member of the SAP Community (old SCN) in 2010 but began to contribute to it after two years when I came to be a real expert in technical aspects. To be honest, the original motivation was to gain the title of Topic Leader, but gradually, I found the community could strengthen and share my knowledge, and meanwhile learn a lot from other experienced experts outside of SAP. Now, I am honored to be a member of our moderator group and also try to be a role model by learning a lot from other senior moderators. I think responsibility is now a motivation for my role to continuously do my daily moderator job, to review moderation items, answer questions, and encourage more people to engage our community. Q: Why do you moderate? What spaces do you moderate? 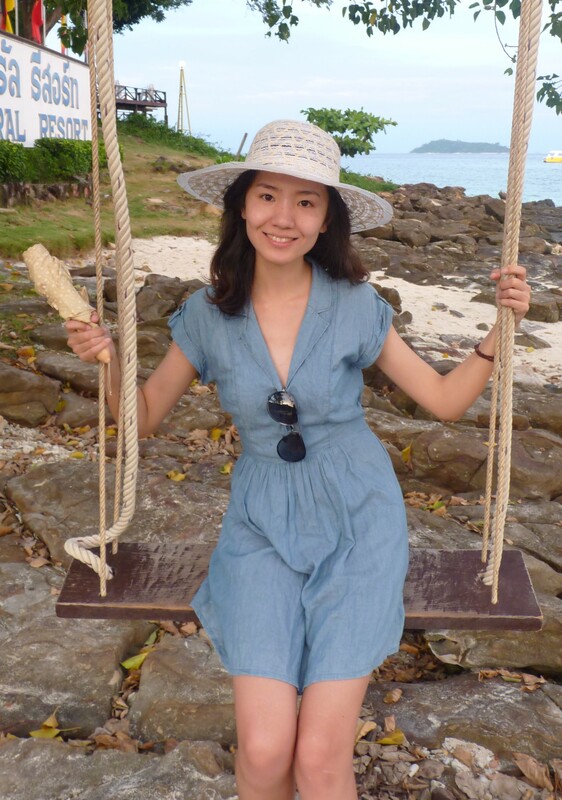 Ivy: Originally, I was only able to help others by sharing my technical knowledge and experience, but gradually, I want to contribute more to make our community more popular and prosperous. New Community offers me an opportunity to moderate my expertise area, mainly Supplier Relationship Management (SRM). Q: What do you think is most important in your moderation? Ivy: Responsibility and Patience: Usually some moderation items are already out of our technical scope and it is sometimes difficult to judge the right tag for the question, but I would usually do some research about the question, and try my best to find the most relevant tags so that they could get the help from the right space. The purpose of moderating the questions is not only to teach the community members about choosing the right tag but also to make them feel comfortable and helpful in engaging our new community. This daily work needs our patience and responsibility most, I believe. Q: If you could offer one bit of advice to new members or new moderators what would it be and why? Ivy: I am also a one-year experienced moderator, and still a new one. My experience is to learn from other experienced moderators, pay more attention to the changes in our community and follow up with the latest news via jam. Q: How has the SAP COMMUNITY helped you? Ivy: It opens another door for me in my daily work. I began to know that I could help others not only via incident solving but also community (blogging and answering questions). Also, I gained some good reputation from the community and recognized by our customers while dealing with incidents, and they will also provide good feedback or collaborate well with me in the process of solving cases. Q: What is your favorite hobby and what can you tell us about it? Ivy: My favorite hobby is to watch movies which really relaxes me after a busy day at work. For some action movies, such as Series Movies of The Fast and the Furious, I would prefer enjoying them within the cinema. While for romance or drama movies, such as ‘Farewell My Concubine’, it would be more comfortable to watch them alone at home. I could experience colorful life from the movies, the adventures from Forest Gump’s life, the crucial war from Schindler’s list, and the fantasy from Disney’s Frozen. Q: Have you ever attended TechEd? Ivy: Unfortunately, I haven’t gotten the chance to attend such big event. Q: What do you think of the new community? And about moderation in the new community? Ivy: Generally speaking, the User Interface becomes more modern compared with the old SCN. However, the complex navigation is not quite user-friendly. The biggest problem or the most frequently complained point is the usage of ‘tags’. For moderation items, most of them are raised due to wrong tags used by the members. If this tags could be replaced by a topic page, our moderation job will become much easier. Q: What moderation feature are you currently missing most? Ivy: I was not a moderator yet in old SCN, so could not make a comparison. Q: Is there another moderator or community member that you’ve found incredibly helpful? For community member, Ricardo Cavedini always proactively answered questions for SRM related tags, who is very helpful for my moderation work. So nice to see that more and more Product Support Engineers are contributing to the SAP Community. Keep up the good work ! Congratulation Ivy, you deserved it. Always a pleasure to collaborate with you. It is my honor to be a spotlight, and I would collaborate more with all of you, and do better. Congratulations Ivy! Thank you for your great contribution and you really deserve this recognition. I’m really proud of you. Congrats Ivy! Proud of you!